In a press statement released on Sunday by Kassim Afegbua, his spokesman, Babangida said it was time to sacrifice “personal ambition” for the “national interest”. 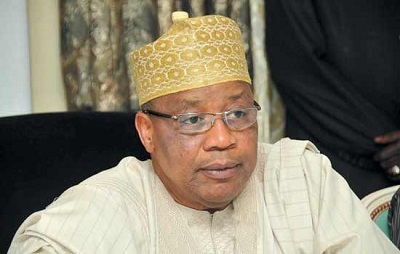 Babangida, who overthrew Buhari in 1985 and ruled till 1993, said: “In the fullness of our present realities, we need to cooperate with President Muhammadu Buhari to complete his term of office on May 29th, 2019 and collectively prepare the way for new generation leaders to assume the mantle of leadership of the country. While offering this advice, I speak as a stakeholder, former president, concerned Nigerian and a patriot who desires to see new paradigms in our shared commitment to get this country running. He said the 2019 elections offer “a unique opportunity for Nigerians”. “The next election in 2019 therefore presents us a unique opportunity to reinvent the will and provoke fresh leadership that would immediately begin the process of healing the wounds in the land and ensuring that the wishes and aspirations of the people are realized in building and sustaining national cohesion and consensus,” he said. Babangida expressed worries about the state of the nation, pointing out incessant clashes and killings across the country. “In the past few months also, I have taken time to reflect on a number of issues plaguing the country. I get frightened by their dimensions. I get worried by their colourations. I get perplexed by their gory themes. From Southern Kaduna to Taraba state, from Benue state to Rivers, from Edo state to Zamfara, it has been a theatre of blood with cake of crimson. In Dansadau in Zamfara state recently, North-West of Nigeria, over 200 souls were wasted for no justifiable reason. The pogrom in Benue state has left me wondering if truly this is the same country some of us fought to keep together,” he said. In the past few months and weeks, I have played host to many concerned Nigerians who have continued to express legitimate and patriotic worry about the state of affairs in the country. Some of them have continued to agonize about the turn of events and expressly worried why we have not gotten our leadership compass right as a country with so much potential and opportunity for all. Some, out of frustration, have elected to interrogate the leadership question and wondered aloud why it has taken this long from independence till date to discover the right model on account of our peculiarities. At 57, we are still a nation in search of the right leadership to contend with the dynamics of a 21st century Nigeria. Having been privileged to preside over this great country, interacted with all categories of persons, dissected all shades of opinions, understudied different ethnic groupings; I can rightfully conclude that our strength lies in our diversity. But exploring and exploiting that diversity as a huge potential has remained a hard nut to crack, not because we have not made efforts, but building a consensus on any national issue often has to go through the incinerator of those diverse ethnic configurations. Opinions in Nigeria are not limited to the borders of the political elite; in fact, every Nigerian no matter how young or old, has an opinion on any national issue. And it is the function of discerning leadership to understand these elemental undercurrents in the discharge of state responsibilities. There is no gainsaying the fact that Nigeria is at a major crossroads at this moment in its history; the choices we are going to make as a nation regarding the leadership question of this country and the vision for our political, economic and religious future will be largely determined by the nature or kind of change that we pursue, the kind of change that we need and the kind of change that we get. A lot depends on our roles both as followers and leaders in our political undertakings. As we proceed to find the right thesis that would resolve the leadership question, we must bear in mind a formula that could engender national development and the undiluted commitment of our leaders to a resurgence of the moral and ethical foundations that brought us to where we are as a pluralistic and multi-ethnic society. Nigeria, before now, has been on the one hand our dear native land, where tribes and tongues may differ but in brotherhood we stand, and on the other hand a nation that continues to struggle with itself and in every way stumbling and willful in its quest to become a modern state, starting from the first republic till date. With our huge investments in the African emancipation movements and the various contributions that were made by our leadership to extricate South Africa from colonial grip, Nigeria became the giant of Africa during that period. But having gone through leadership failures, we no longer possess the sobriety to claim that status. And we all are guilty. We have experimented with Parliamentary and Presidential systems of government amid military interregnum at various times of our national history. We have made some progress, but not good enough to situate us on the pedestal we so desirously crave for. It is little wonder therefore that we need to deliberately provoke systems and models that will put paid to this recycling leadership experimentation to embrace new generational leadership evolution with the essential attributes of responsive, responsible and proactive leadership configuration to confront the several challenges that we presently face. In 2019 and beyond, we should come to a national consensus that we need new breed leadership with requisite capacity to manage our diversities and jump-start a process of launching the country on the super highway of technology-driven leadership in line with the dynamics of modern governance. It is short of saying enough of this analogue system. Let’s give way for digital leadership orientation with all the trappings of consultative, constructive, communicative, interactive and utility-driven approach where everyone has a role to play in the process of enthroning accountability and transparency in governance. I am particularly enamored that Nigerians are becoming more and more conscious of their rights; and their ability to speak truth to power and interrogate those elected to represent them without fear of arrest and harassment. These are part of the ennobling principles of representative democracy. As citizens in a democracy, it is our civic responsibility to demand accountability and transparency. Our elected leaders owe us that simple but remarkable accountability creed. Whenever we criticize them, it is not that we do not like their guts; it is just that as stakeholders in the political economy of the country, we also carry certain responsibilities. In the past few months also, I have taken time to reflect on a number of issues plaguing the country. I get frightened by their dimensions. I get worried by their colourations. I get perplexed by their gory themes. From Southern Kaduna to Taraba state, from Benue state to Rivers, from Edo state to Zamfara, it has been a theatre of blood with cake of crimson. In Dansadau in Zamfara state recently, North-West of Nigeria, over 200 souls were wasted for no justifiable reason. The pogrom in Benue state has left me wondering if truly this is the same country some of us fought to keep together. I am alarmed by the amount of blood-letting across the land. Nigeria is now being described as a land where blood flows like river, where tears have refused to dry up. Almost on a daily basis, we are both mourning and grieving, and often times left helpless by the sophistication of crimes. The Boko Haram challenge has remained unabated even though there has been commendable effort by government to maximally downgrade them. I will professionally advise that the battle be taken to the inner fortress of Sambisa Forest rather than responding to the insurgents’ ambushes from time to time. In the fullness of our present realities, we need to cooperate with President Muhammadu Buhari to complete his term of office on May 29th, 2019 and collectively prepare the way for new generation leaders to assume the mantle of leadership of the country. While offering this advice, I speak as a stakeholder, former president, concerned Nigerian and a patriot who desires to see new paradigms in our shared commitment to get this country running. While saying this also, I do not intend to deny President Buhari his inalienable right to vote and be voted for, but there comes a time in the life of a nation, when personal ambition should not override national interest. This is the time for us to reinvent the will and tap into the resourcefulness of the younger generation, stimulate their entrepreneurial initiatives and provoke a conduce environment to grow national economy both at the micro and macro levels. Contemporary leadership has to be proactive and not reactive. It must factor in citizens’ participation. Its language of discourse must be persuasive not agitated and abusive. It must give room for confidence building. It must build consensus and form aggregate opinion on any issue to reflect the wishes of the people across the country. It must gauge the mood of the country at every point in time in order to send the right message. It must share in their aspirations and give them cause to have confidence in the system. Modern leadership is not just about “fighting” corruption, it is about plugging the leakages and building systems that will militate against corruption. Accountability in leadership should flow from copious examples. It goes beyond mere sloganeering. My support for a new breed leadership derives from the understanding that it will show a marked departure from recycled leadership to creating new paradigms that will breathe fresh air into our present polluted leadership actuality. My intervention in the governance process of Nigeria wasn’t an accident of history. Even as a military government, we had a clear-cut policy agenda on what we needed to achieve. We recruited some of the best brains and introduced policies that remain some of the best in our effort to re-engineer our polity and nation. We saw the future of Nigeria but lack of continuity in government and of policies killed some of our intentions and initiatives. Even though we did not provide answers to all the developmental challenges that confronted us as at that time, we were not short of taking decisions whenever the need arose. The unchecked activities of the herdsmen have continued to raise doubt on the capacity of this government to handle with dispatch, security concerns that continue to threaten our dear nation; suicide bombings, kidnappings, armed banditry, ethnic clashes and other divisive tendencies. We need to bring different actors to the roundtable. Government must generate platform to interact and dialogue on the issues with a view to finding permanent solutions to the crises. The festering nature of this crisis is an inelegant testimony to the sharp divisions and polarizations that exist across the country. For example, this is not the first time herdsmen engage in pastoral nomadism but the anger in the land is suggestive of the absence of mutual love and togetherness that once defined our nationality. We must collectively rise up to the occasion and do something urgently to arrest this drift. If left unchecked, it portends danger to our collective existence as one nation bound by common destiny; and may snowball into another internecine warfare that would not be good for nation-building. We have to reorient the minds of the herdsmen or gun-men to embrace ranching as a new and modern way to herd cattle. We also need to expand the capacity of the Nigeria Police, the Nigeria Army, the Navy and Air Force to provide the necessary security for all. We need to catch up with modern sophistication in crime detection and crime fighting. Due to the peculiarity of our country, we must begin community policing to close the gaps that presently exist in our policing system. We cannot continue to use old methods and expect new results. We just have to constructively engage the people from time to time through platforms that would help them ventilate their opinions and viewpoints. When the ruling party campaigned with the change mantra, I had thought they would device new methods, provoke new initiatives and proffer new ways to addressing some of our developmental problems. By now, in line with her manifesto, one would have thought that the APC will give fillip to the idea of devolution of powers and tinker with processes that would strengthen and reform the various sectors of the economy. Like I did state in my previous statement late last year, devolution of power or restructuring is an idea whose time has come if we must be honest with ourselves. We need to critically address the issue and take informed positions based on the expectations of the people on how to make the union work better. Political parties should not exploit this as a decoy to woo voters because election time is here. We need to begin the process of restructuring both in the letter and spirit of it. For example, I still cannot reconcile why my state government would not be allowed to fix the Minna-Suleja road, simply because it is called Federal Government road, or why state governments cannot run their own policing system to support the Federal Police. We are still experiencing huge infrastructural deficit across the country and one had thought the APC-led Federal Government would behave differently from their counterparts in previous administrations. I am hesitant to ask; where is the promised change? At this point of our national history, we must take some rather useful decisions that would lead to real development and promote peaceful co-existence among all the nationalities. We must be unanimous in what we desire for our country; new generation leadership, result-driven leadership, sound political foundation, demonetization of our politics, enhanced internal democracy, elimination of impunity in our politics, inclusiveness in decision-making, and promotion of citizens’ participation in our democratic process. The search for that new breed leadership must start now as we prepare for 2019 election. I get worried when politicians visit to inform me about their aspirations and what you hear in terms of budgetary allocations for electoral contest does not cover voters’ education but very ridiculous sub-heads. A typical aspirant in Nigeria draws up budget to cover INEC, Police, Army and men and officers of the Civil Defense, instead of talking of voters’ education, mobilization and sensitization. Even where benchmarks are set for electoral expenditure, monitoring and compliance are always difficult to adhere to. We truly need to reform the political system. And we must deliberately get fresh hands involved for improved participation. We need new ways and new approaches in our political order. We need a national rebirth. We need a rebranded Nigeria and rebranded politics. It is not so much for the people, but for the institutions that are put in place to promote our political engagements. We must strengthen the one man one vote mantra. It is often ridiculous for me when people use smaller countries in our West Africa sub-region as handy references of how democracy should be. It beggars our giant of Africa status.